Head out from Kingston on a guided day-trip to the County, where the charms of the countryside pair perfectly with the allure of a burgeoning wine scene. 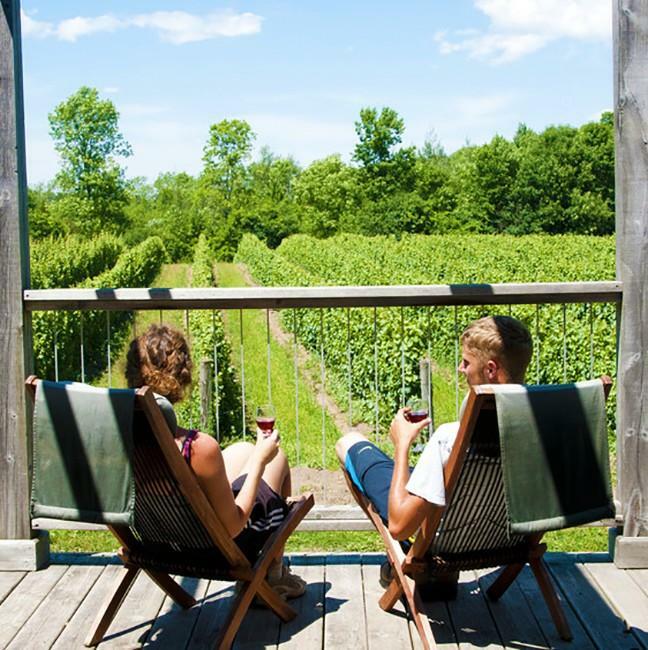 Just a short day trip from Kingston, pastoral Prince Edward County is known for its temperate climate, family-run farms, the charming towns of Picton and Bloomfield, stunning beaches and — most recently — its wine-making. Turns out the limestone-rich soil provides the perfect terroir for producing award-winning wines. There are now more than 30 wineries in the County, many of which are open year-round for tours and tastings. The most popular wine varietals here include pinot noir, chardonnay, cabernet franc, riesling, and gamay noir. Enjoy a glass of the County’s finest among the vineyards! An excursion to The County is plenty of reason to toast! You can’t find a view like this in the city! The wine boom has coincided with a restaurant renaissance, with many world-class chefs moving into the region to open restaurants that take advantage of the bounty of the County — so much fresh produce to work with and wines to pair! 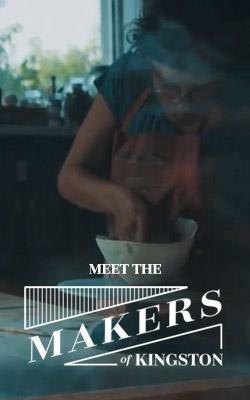 Artisanal food producers are thriving, as are local inns, B&Bs, and independent boutiques. 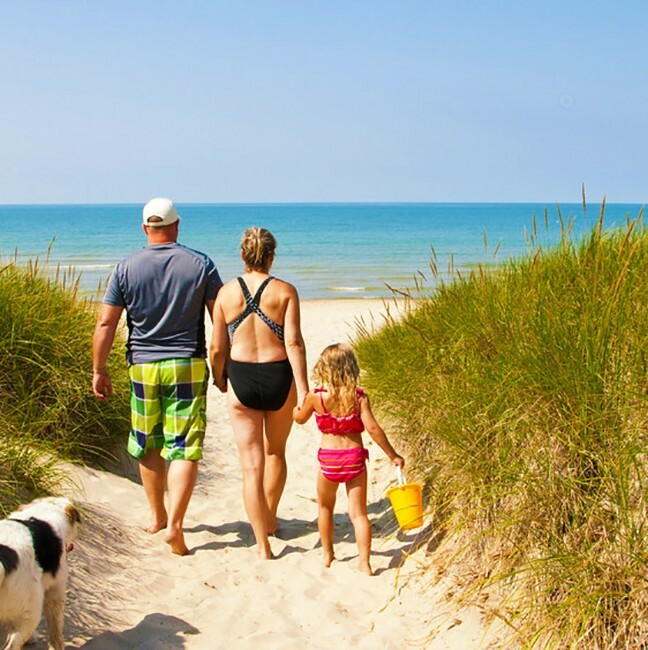 Nature lovers also converge on Prince Edward County, drawn by the beaches and dunes at Sandbanks Provincial Park, world-class birding, and scenic trails. 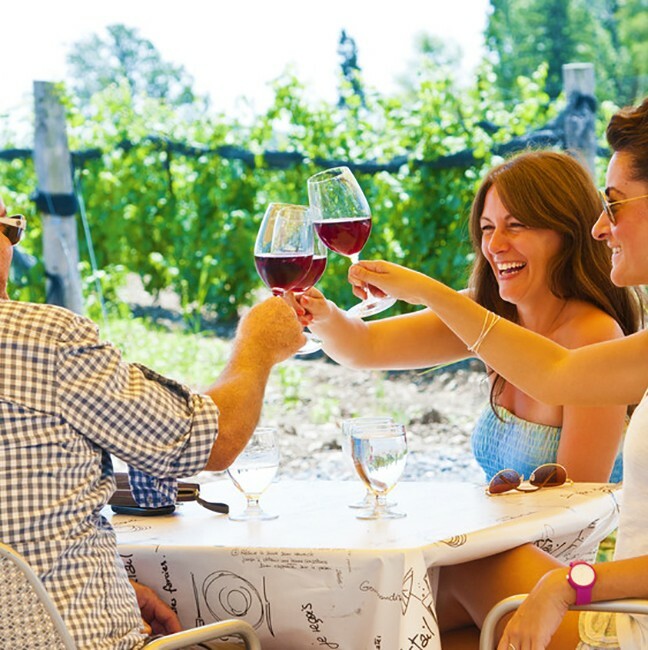 Travellers based in Kingston will be thrilled to learn that Sandbanks Vacations offers a convenient guided wine and cider tour out of the Kingston. The daily tour picks up guests each morning from local hotels and residences. A comfortable air-conditioned minivan or shuttle bus follows the scenic Loyalist Parkway along the shores of Lake Ontario to Adolphustown. 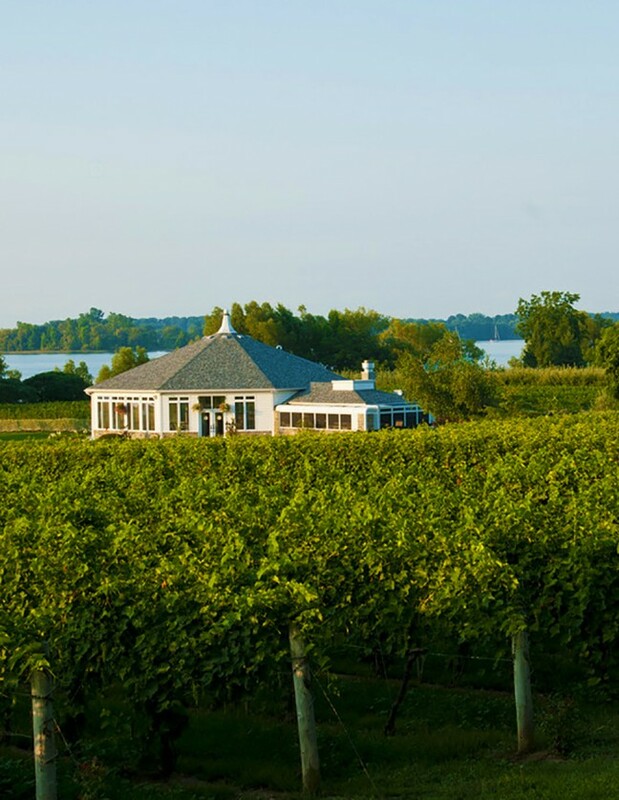 There, guests visit a local winery and taste estate-grown wines and ciders before boarding a ferry and heading across the Adolphus Reach to the Waupoos sector of Prince Edward County. The tour then makes stops at a cider company and two more wineries, allowing guests to enjoy the scenic surroundings (along with tastings, of course). If the weather’s fine, there’s a gourmet picnic lunch, while on blustery days lunch is served indoors. Guided tours from Kingston leave daily at 10 a.m. and return around 7 p.m. 613-393-2424, visitkingston.ca. If you’re short on time or would rather stay within city limits, visit the new Wine Region Tasting Centre at Fort Henry. This new facility gives guests a chance to taste a variety of Prince Edward County wines and learn more about wine made locally, all in the magnificent atmosphere of Fort Henry. This article has been reproduced from the 2014 Kingston Shop & Dine Guide.